Esa exhibits his work and holds painting workshops across North America. His home studio-gallery is where visitors can view his work, which ranges from Canadian landscapes and marine sceneries to urban abstracts. 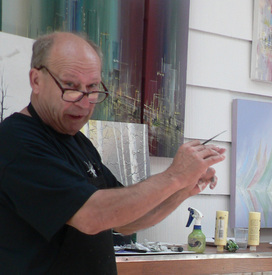 He holds Creative Painting Days workshops a few times a year in his studio-gallery.